Nothing says Christmas quite like a nativity scene. If you want to capture the tradition for yourself, look no further than our Small Nativity Scene. At 11cm tall these figurines will fit into any place on your mantel or table. Each scene consists of Mary, Joseph and baby Jesus in a manger, the 3 wise men, an angel, a farmer and a resting sheep. 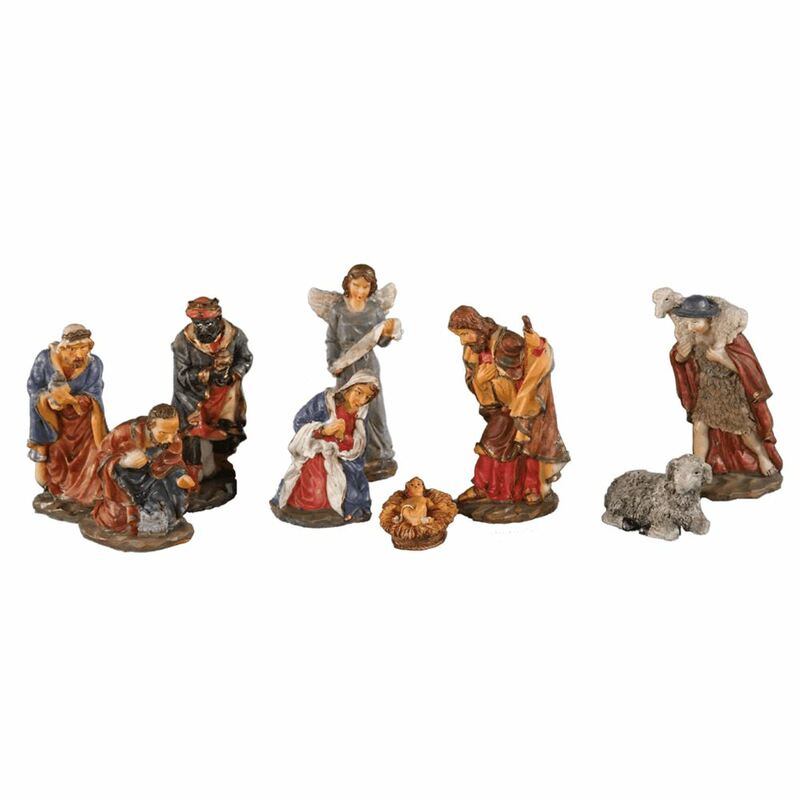 Each figurine is lovingly detailed, with the wise men bearing gifts and Joseph holding a staff. All of the figurines are painted in a range of blues, red, yellows, browns and black to create a natural palette.